To entrepreneurs, Silicon Valley’s Sand Hill Road is mecca. Wikipedia lists 44 venture capital firms located on this relatively short stretch of road in Palo Alto. The first to set up shop on Sand Hill Road, in 1972, was Kleiner Perkins Caufield & Byers, today one of the largest and most venerable VCs in the world. Today, founders from throughout the Bay Area and around the world come to Sand Hill Road to pitch their startups for VC funding, opening a world of opportunity to the few who are successful at landing an investment. Our own Westlake Village recently welcomed a new venture capital firm, Westlake Village BioPartners. Founded by Kleiner Perkins veterans, Westlake Village BioPartners could be the catalyst for a long-awaited regional biotech ecosystem. But it could be more than that. It could be the start of our own Sand Hill Road. Why does SoCal need its own Sand Hill Road? Until recently, it didn’t. There wasn’t enough entrepreneurial activity to justify so many VCs in one place. Today, there is little chance that the explosion of entrepreneurial activity in the Los Angeles area will abate anytime soon. The region needs capital to fuel startups in the entertainment, transportation, communications, social media, clean tech and defense sectors. Concentrating VCs in one geographic region enables an economy of agglomeration. The VC community can more easily develop and share a local labor pool. They can compare notes with each other more readily. Startups can fit in multiple appointments with target VC firms in a day, eliminating the need to battle traffic. Westlake Village is a great location for VC firms. It’s within driving distance of most LA startup communities, Pasadena and Santa Barbara. It’s close to two airports, Van Nuys and Camarillo, that have fixed base operators for private jets. There’s plenty of luxury housing within and near Westlake Village for VCs to live. While a cluster of VCs won’t create a lot of new jobs, it will create the type of high-paying jobs that can afford the local cost of living. Just as importantly, Westlake Village puts VCs close to their customers, wealthy households that can afford to invest hundreds of thousands of dollars at a time in high-risk, high-reward VC funds. 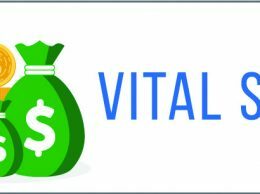 In the past 15 years, much time and effort — including a lot of mine — has been expended toward creating a community of angel investors in the region. Angels tend to make much smaller investments than VCs, but often are more active in working with their portfolio companies. Much of the area’s wealth may be better served by entrusting it to professional investors. If there is going to be a Sand Hill Road in SoCal, it doesn’t have to be in Westlake Village. Pasadena is a good candidate. Maybe Newport Beach. But neither one of them is home to a firm founded by Sand Hill Road veterans. This is important because of a common characteristic of VC firms. It’s often called a lemming mentality: If one firm invests in a trend, many follow to avoid being left behind. The lemming characterization is a little sensational. Chances are that any trend is carefully researched by many, and that the first investor is merely a trigger that causes others to join in. If there is going to be a Sand Hill Road in Westlake Village, now is the time to take action, while we have an advantage. Finding a second firm to locate nearby is critical, hopefully leading to an acceleration of new firms after that. They all don’t have to be new. Perhaps Sand Hill Road VC firms will want a SoCal base of operations. Having that kind of concentration of investment capital nearby could do wonders for the region. For the record, Westlake Village BioPartners is on Townsgate Road. Sounds good to me. VCs, are you listening? 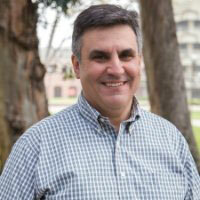 • Mike Panesis is the executive director of the California Lutheran University Center for Entrepreneurship.